Slightly off topic but this includes lots of important things like nice people, one of my fave labels and charity so here goes. Celeb hairstylist, Tara Smith ran the New York marathon this weekend to raise money for the Leukemia and LOROS, The Leicestershire and Rutland Hospice. 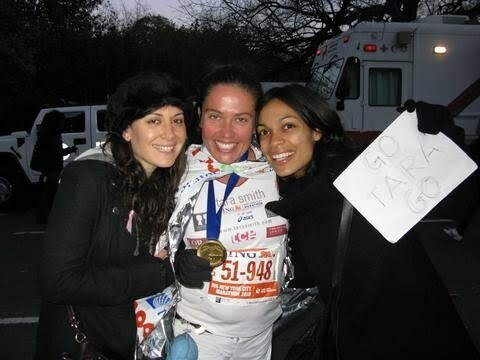 Check her out here with friends Stacy Igel, founder of Boy Meets Girl and Rosario Dawson. I wish I looked that good after I’d run 26 miles/for a bus.